Condo sales, new openings and unsold inventory levels all dropped in the first quarter of 2015 according to Urbanation. A total of 4,432 new condos were sold across the GTA in Q1 of this year, down 10 per cent year-over-year. 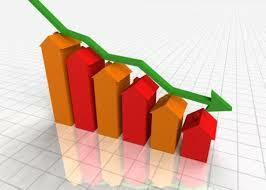 There was also a 22 per cent decline in condos brought to market. Still, there were 21,000 condo completions in the past 12 months, which raised the number of developer-owned units to 1,648, representing a 49 per cent increase. As for prices, gains were moderate.